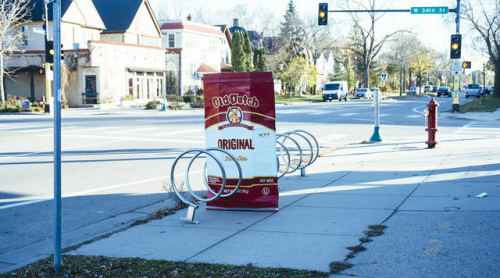 Just A Car Guy: this bike rack looked like a vending machine. So, someone hand painted a giant chip bag to go inside it. this bike rack looked like a vending machine. So, someone hand painted a giant chip bag to go inside it.